As much as it probably pains you to admit, not all of the customers that you serve are going to leave your business happy – despite everyone’s best effort. 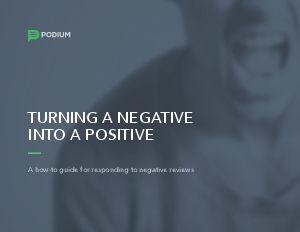 No one likes to get negative reviews. In fact, it’s hard not to take them personally. Having a strategy in place for how to respond to them, however, is essential. If you don’t have a plan in place, things could go horribly wrong, and possibly do irreparable damage to your business.